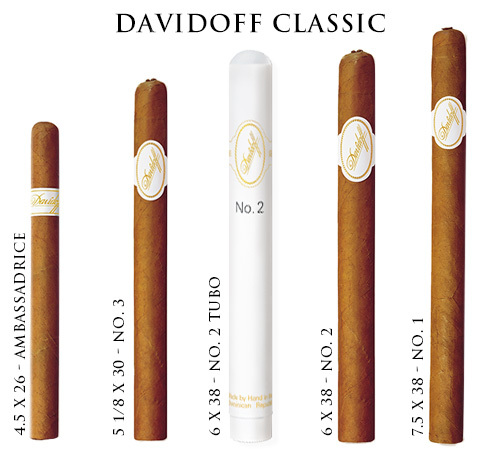 Davidoff Classic - Buy Premium Cigars Online From 2 Guys Cigars . Cigar connoisseurs will appreciate the light, delicate yet rich aroma of this line of cigars. The No.1, No.2, No.3 and the petit ""Ambassadrice"" are shapes of the greatest elegance distinguished by their subtle blend. The Davidoff No.2 cigar is also available in a tubed version.